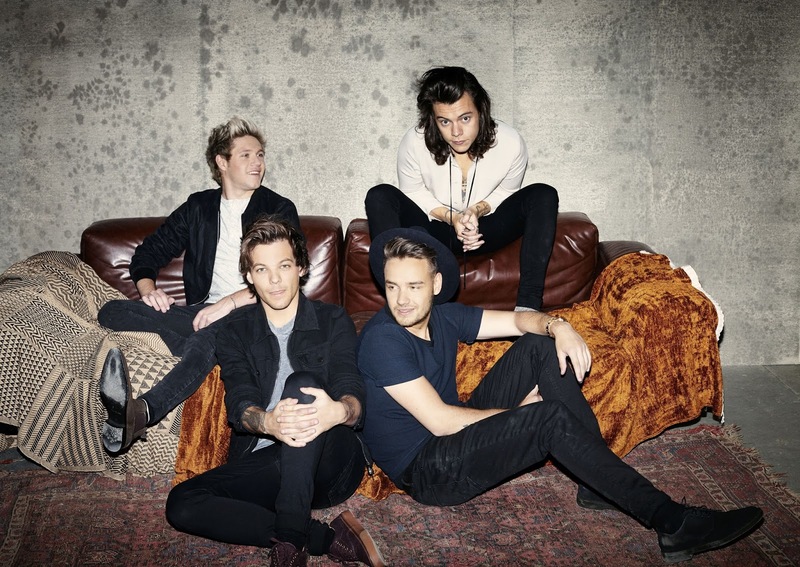 SnapCacklePop: Take the Bus with One Direction..! Take the Bus with One Direction..! 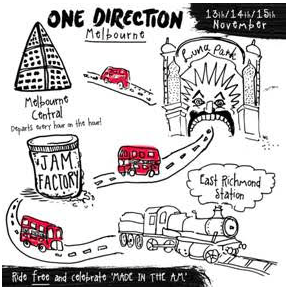 The biggest pop band in the world, One Direction have released their brand new album MADE IN THE A.M. today Friday November 13th and to celebrate fans in Sydney & Melbourne will have the chance to ride the 1D Bus for free on Friday 13th, Saturday 14th & Sunday 15th! 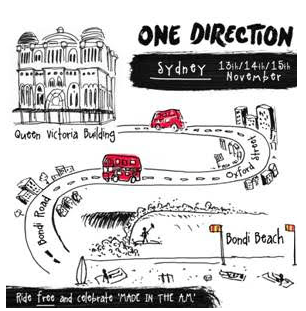 The 1D Bus will serve as a free shuttle service between the Queen Victoria Building in Sydney city to Bondi Beach and from Melbourne Central to Luna Park, to the Jam Factory to East Richmond Station in Melbourne. The free buses will run on Friday from 9am – 3pm in Sydney and 9am – 3pm in Melbourne, then on Saturday & Sunday from 9am to 6pm in both cities. Whilst riding the classic London bus, fans can listen to the new album in its entirety, as well as purchase the new album & exclusive merchandise packs. 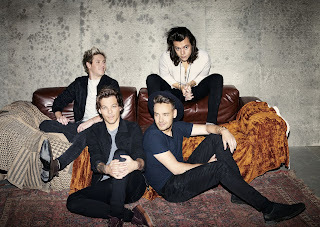 What better way is there for all One Direction fans to celebrate the release of MADE IN THE A.M. !! Get your copy on the new album on iTunes now..!